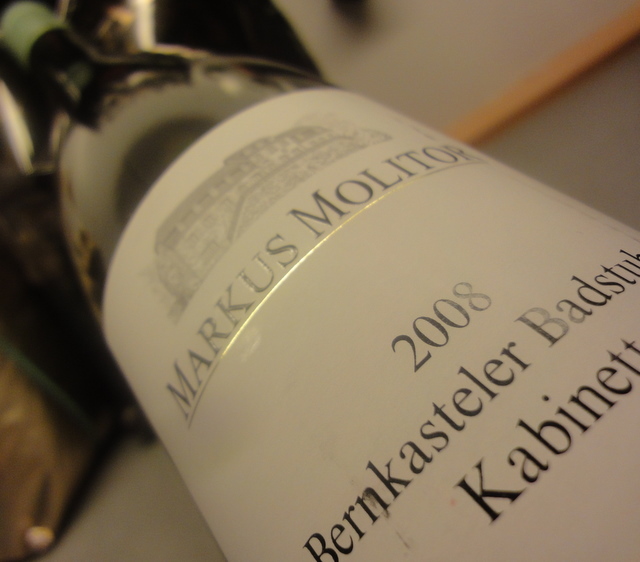 Palate: off dry with high acidity, low or missing tannin, low alkohol, medium (-) body but medium(+) intensity. Notes of yellow flowers, peach, lemon, white chalk minerality again, steely. Fantastic crisp structure with excellent balance between acidity and fruit intensity. Medium(+) finish. Sweetness seems a little low with focus on bitterness and acidity. Conclusion: very good quality, can drink now but will develop. High price. Not tasted blind, but with great pleasure. Even better on the second day in the decanter.